Ke Cheng, professor of regenerative medicine. In his laboratory on the second floor of the new Biomedical Partnership Center at NC State, Ke Cheng peers into a microscope, examining a dish of stem cells that may hold the key to repairing damaged cardiac tissue. The view is dramatic — not because the cells are doing anything out of the ordinary — but because Cheng’s work gives us a glimpse of the future of medicine. 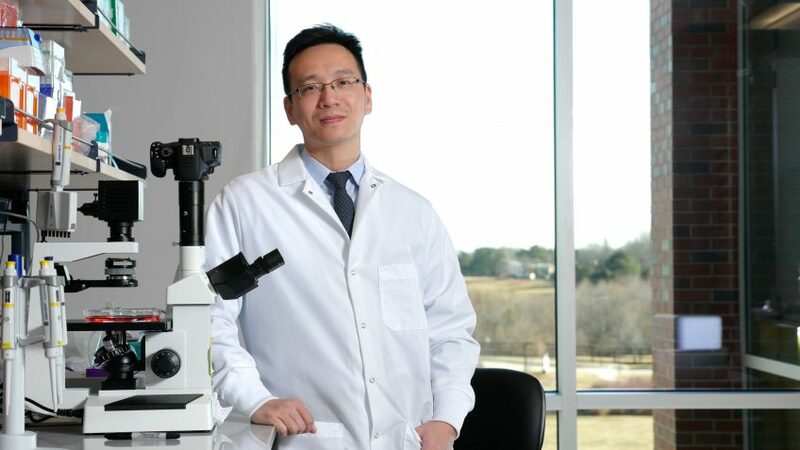 Since arriving at NC State in 2013 to join an interdisciplinary faculty cluster focused on regenerative medicine, Cheng has conducted groundbreaking research in the use of stem cells to treat cardiac and pulmonary diseases. Cheng led a team in developing a synthetic version of a cardiac stem cell that may reduce some of the risks associated with natural stem cells. And he’s spearheaded research to improve both the effectiveness and efficiency of adult stem cells. One project focused on solving two problems associated with cell therapy: how to keep cardiac stem cells in place and how to prevent rejection when the stem cells are not from the patient’s own body. The solution involved encapsulating cardiac stem cells in a polymer gel that serves as a shield for the injected stem cells. In another, he demonstrated a rapid, simple way to generate large numbers of lung stem cells for use in disease treatment. Instead of attempting to isolate and sort individual lung stem cells or genetically convert other types of cells into lung stem cells, Cheng used a multicellular spheroid method to enrich and grow them. Kevin Huang, a second-year Ph.D. student in comparative biomedical sciences, is working on a cardiac stem cell project in Cheng’s lab. Both of Huang’s grandfathers died of heart disease in 2010, triggering his decision to pursue a career in medicine. Another student in Cheng’s lab, fourth-year Ph.D. student Uyen Dinh, is studying stem cell therapies for lung diseases. She says being on the leading edge of the field is both exciting and challenging. 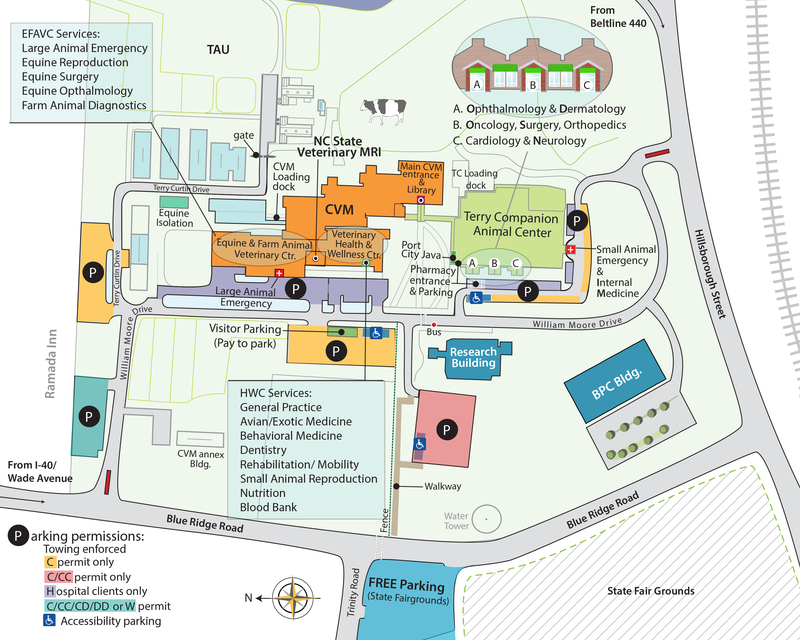 Impact is at the forefront of Cheng’s mind as looks out his office window at the rows of buildings housing the NC State Veterinary Hospital where colleagues are conducting research in areas that often impact both animal and human health, from cancer and spinal cord injuries to prosthetics and pain management.